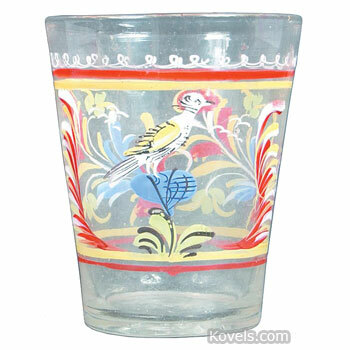 Stiegel type glass is listed here. 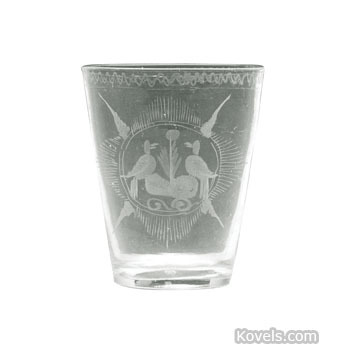 It is almost impossible to be sure a piece was actually made by Stiegel, so the knowing collector refers to this glass as "Stiegel type." 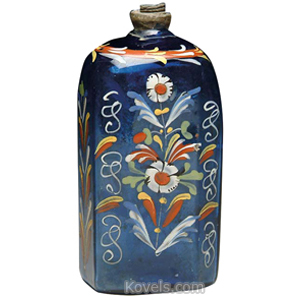 Henry William Stiegel, a colorful immigrant to the colonies, started his first factory in Pennsylvania in 1763. 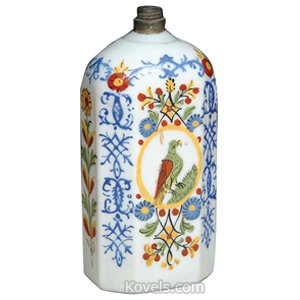 He remained in business until 1774. 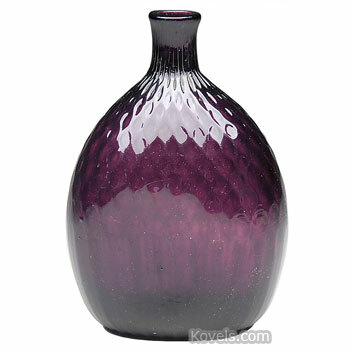 Stiegel was one of the most famous makers of early-period American glass. 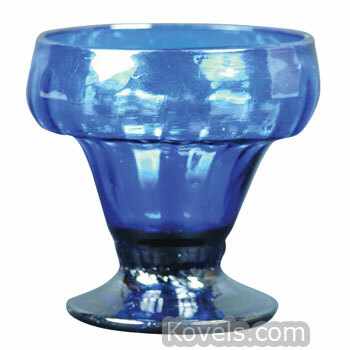 It resembled German thin-walled glass. 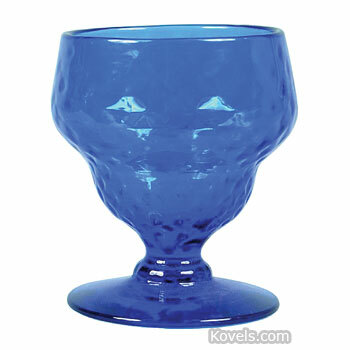 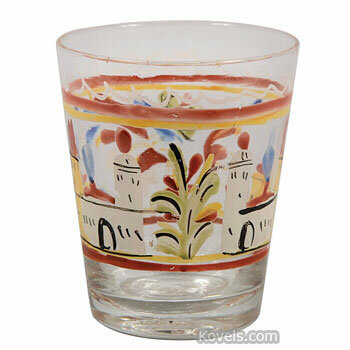 Glassware was made in a style popular in Europe at that time and was similar to the glass of many other makers. 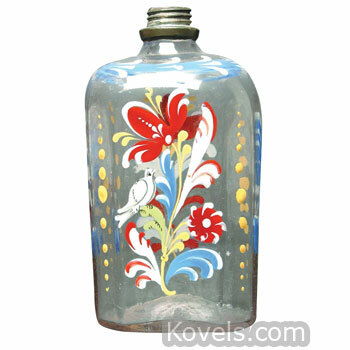 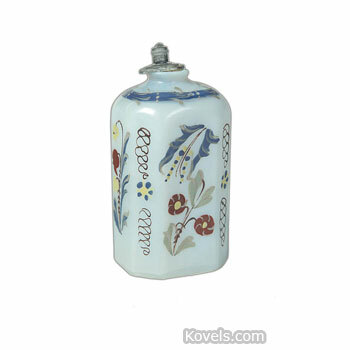 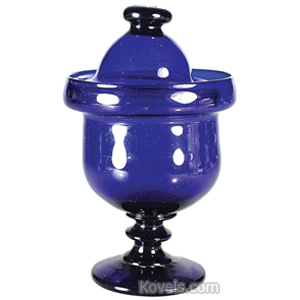 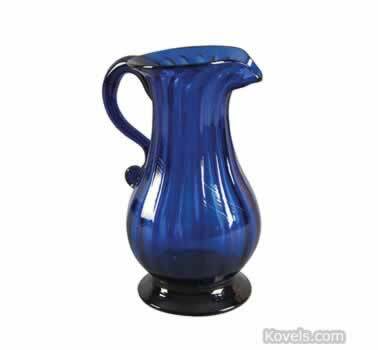 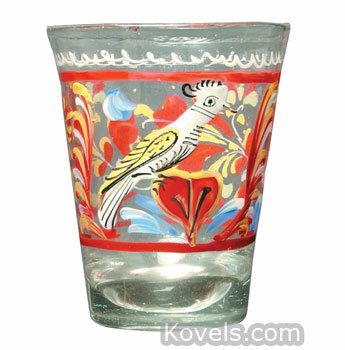 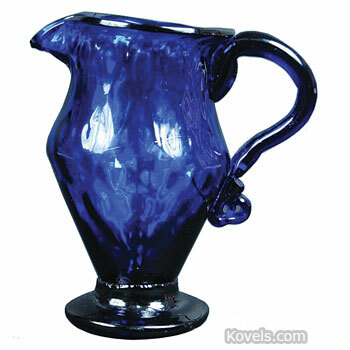 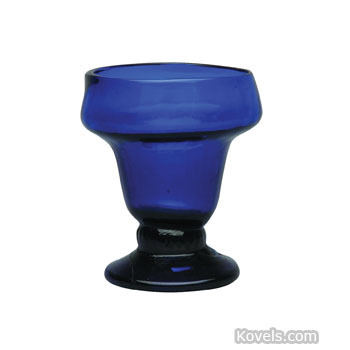 It was made of clear or colored glass and was decorated with enamel colors, mold blown designs, or etching.